I’m not a religious person. I’ve spent many hours in various houses of worship of different religions, where I’ve found comfort (at funerals), and joy (at weddings), and boredom (at Catholic services, sorry), and peace (at meeting). But the religious experience eludes me in any place made by Man. If I’ve ever had a religious experience, it’s been in the outdoors. Along the Great Cacapon River in West Virginia when I was a child, on Sugarloaf Mountain when I was a teen, in the Potomac Gorge nowadays, and any wild place I’ve visited: Canyonlands, Mount Rainier, the Olympic Range, Death Valley… in these places I experience the grandeur of creation (if I can use that word), the vastness of this planet, the insignificance of humankind. And I find comfort and joy and peace and an overwhelming sense of awe. The wild is my holy place. Which brings me to Anza-Borrego. As you’ve probably heard, the park was overwhelmed by visitors; the tiny town of Borrego Springs ran out of gasoline and was running out of food the first weekend. 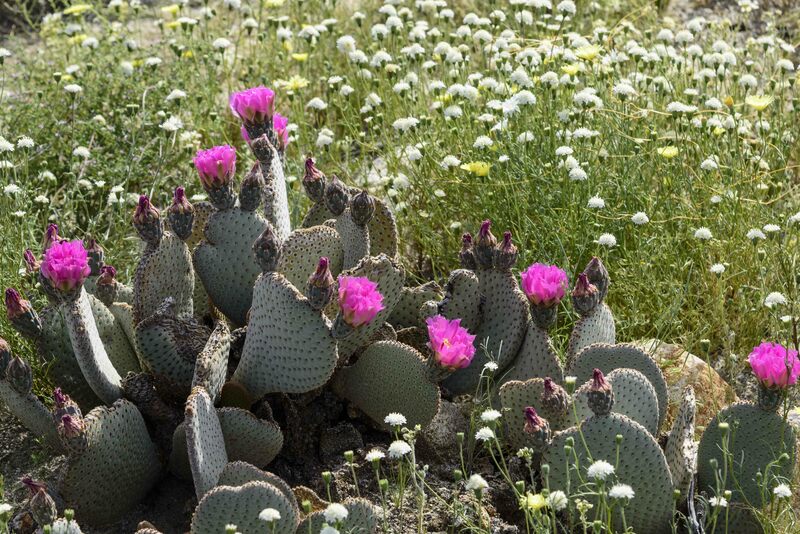 People were saying the media played up the super bloom like never before, and it showed, with miles-long backups on the main roads, and road closures, and full parking lots, and cars parked on roadsides, and long lines at restaurants, and No Vacancy signs everywhere. On the one hand, I should be glad of this, that so many people want to experience something so unusual and special. Maybe some of them will be converted and become environmentalists, and begin to understand the interconnectedness of it all and why it’s so important to have wild places. That would be a good thing. On the other hand, I was mighty pissed off. I go to the wild for solitude, and I was almost never alone in my four days there. I was getting increasingly annoyed by clouds of dust as cars sped by on dirt roads, by people walking anywhere, not watching their footing, trampling plants, by people talking loudly or shouting to each other. By people taking selfies. Imagine worshipping in your synagogue or mosque or church while a troupe of loud-mouthed, ill-mannered, immodestly-clad tourists go through. The wild is my holy place. I want to share it with you, but please: show some respect. 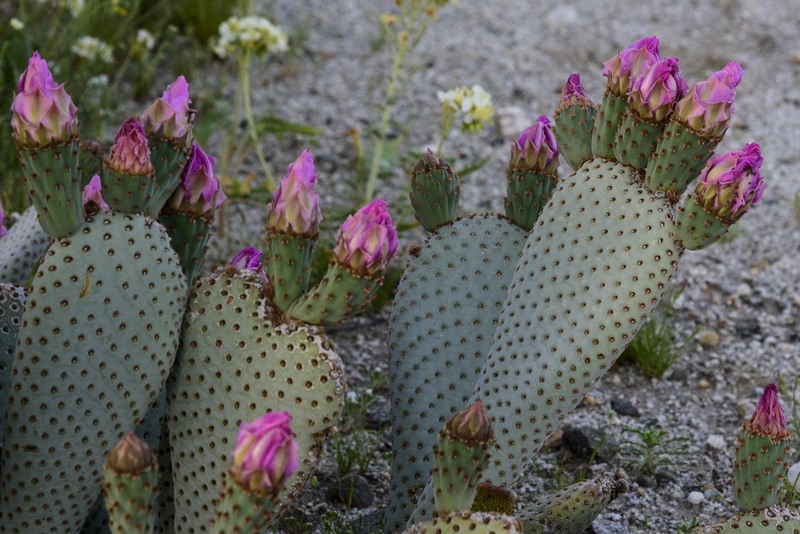 This entry was posted in Uncategorized and tagged Anza-Borrego, Sonoran Desert by elizabeth. Bookmark the permalink.